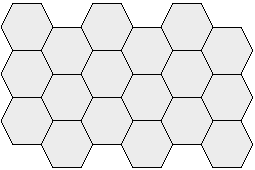 Are there definitive, unambiguous terms for hexagon tile orientations? 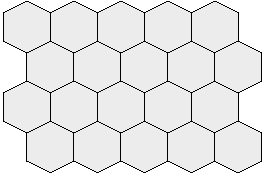 I have been working on a tile map editor and plan to support two orientations for hexagons. I have seen various terms used, but these all seem ambiguous to me. I would like to find unambiguous terms for the following two orientations for hexagons -- ideally, these would be definitive and succinct (I could refer to these as "Flat on Top" and "Pointed on Top" but would prefer something more technical and authoritative). Edit: I was holding out for something more technical, but it's hard to argue with Amit. For me, "pointed" sounds more formal than "pointy," so I am going to use the following (a decision reinforced by DMGregory's answer): Flat-top and Pointed-Top. So while it's not super technical-sounding, I think it's as close to authoritative as we're likely to find. The terms are also understandable and unambiguous even without specialized technical knowledge, which is a huge win. If you want something less informal, you could try names along the lines of "staggered columns" vs "staggered rows" but I think this is substantially less clear. What should be the best approach to hexagonal tilemap in Unity?